Every now and again, Alia Bhatt has been making a splash on our style radar, owing to the various public appearence for her promotional duties towards Kalank. However today, this girl is making a bang with her cover photoshoot for the internationally acclaimed magazine, Grazia. This month's front page of Grazia, has Alia on it's cover. Alia looks fierce as she dons this peach colour metallic saree, curated by the young and budding fashion designer, Rimzim Dadu. Her glam squad clubbed this unconventional ensemble with a rad hairdo. To compliment the sheen of the attire, Alia's makeup was all about those gleaming cheek bones. Alia's style moment reminded us of the time, when Sonam had worn the same design but in blue. 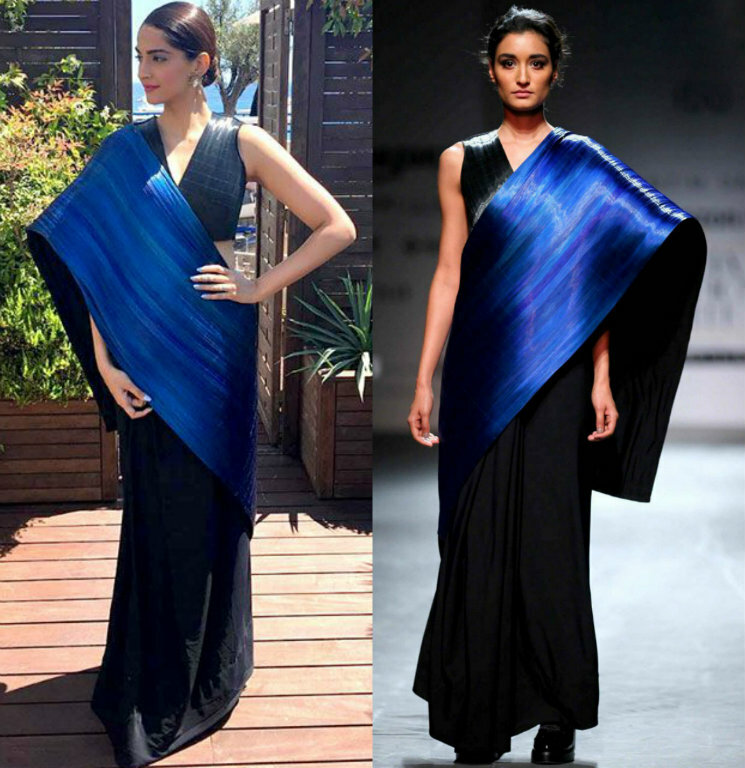 In 2016, Sonam debuted her first look at Cannes in this Rimzim Dadu created metallic blue drape. The world took notice of this sartorial maven, as she marked yet another look in one of her many legacies of fashion. Sonam complimented it with matching blue eye-makeup. 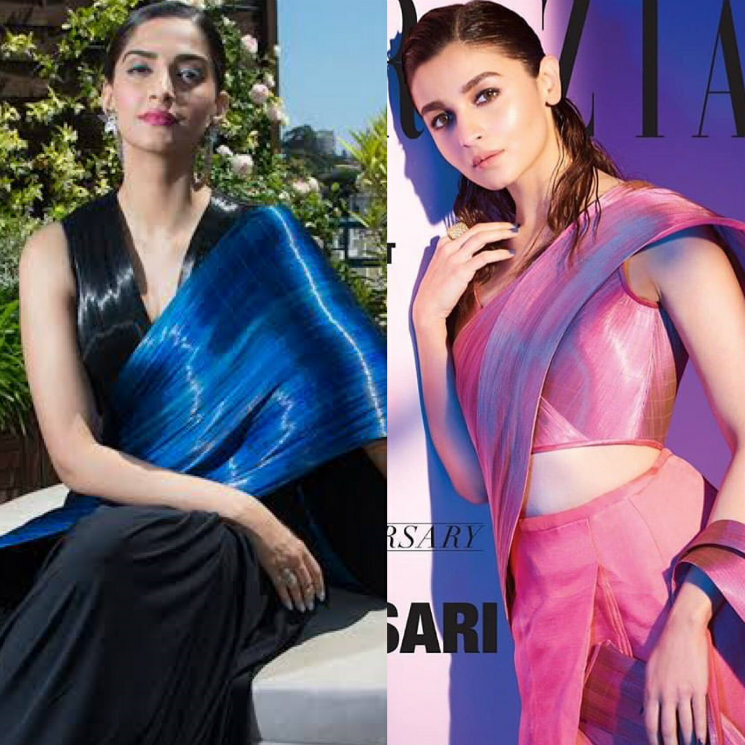 If you too are not drawn towards the traditional saree style but like it's western counterpart, then have trust in our style team, as we predict the unconventional saree style to be on top of the trend charts for all of 2019 and beyond. Kapil Sharma on THROWING a SHOE on Sunil Grover Taapsee Pannu's INTRODUCTION of Laakhon Mein Ek, is the SASSIEST!